ROAP encourages any individual who has completed the full accreditation school and passed all of the exams (or will pass by the application deadline) to apply for the ROAP Apprenticeship Program. 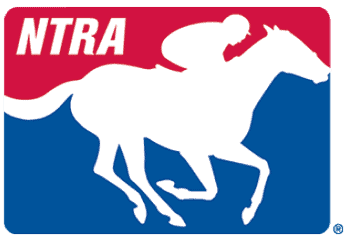 A committee will select one candidate to be placed at a racetrack for approximately 60 days (duration and timing to be determined individually) to receive hands on training in all racing official capacities including but not limited to the stewards or judges stand. A daily stipend will be paid by the racetrack (reimbursed by ROAP) for the apprentice. The application and cover letter must be returned by the December 31 deadline. More information about the program can be found below in the "host track section". ROAP is seeking racing commissions and race tracks which are interested in hosting a ROAP apprentice for a racing official training period. The goal of the program is to educate the apprentice in all aspects of the racing industry, the race track, all racing official positions, and most importantly, the stewards' stand through a practical immersion program. This will lead to new, better qualified and more educated steward candidates for race meets and will further ROAP's goal of helping ensure the integrity of the horse racing industry. All apprentice candidates will have completed the 60-hour Stewards Accreditation course; have passed the oral, written, and race video examinations; and lack only experience to become an accredited racing official or steward. ROAP will allow time spent as a ROAP apprentice to count towards their 225 days as a racing official requirement, and their additional 50 days requirement as a steward or harness judge.